Goldenduck International recently installed complete audio systems by HARMAN Professional Solutions in multiple CJ CGV Cinemas across Vietnam. CJ CGV is the largest film distributor and cinema chain in Vietnam, and is one of the top five cinema brands in the world with 401 locations in seven countries. CGV calls its theaters “Cultureplexes,” which offer unique fusions of upscale shopping, dining and entertainment. In addition to standard and IMAX presentation formats, CGV Cultureplexes feature proprietary technologies, such as the multi-sensory 4DX and 270-degree panoramic ScreenX. In order to ensure a consistent, immersive audio experience for movie-goers, CJ CGV hired Goldenduck International to install premium cinema audio systems in all of its Vietnamese locations. 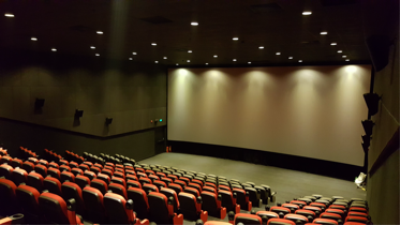 Goldenduck International, a trusted HARMAN Professional distributor in Vietnam, supplied and integrated HARMAN audio systems in 24 theaters across seven CGV locations and more. Goldenduck selected JBL cinema speaker systems and Crown power amplifiers for their extended frequency response, reliable operation and accessibility. CJ CGV Vietnam strives to be more than just a movie theatre. The goal is to create an immersive media playground that offers differentiated entertainment experiences to patrons seeking a brief escape from day-to-day life. 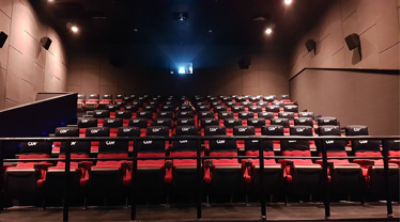 In addition to offering diverse shopping and dining options, CJ CGV has integrated a variety of movie presentation technologies, including IMAX, 4DX and ScreenX. The HARMAN sound systems Goldenduck installed in CJ CGV Cultureplexes ensure that each audience experience the same cinematic sound quality no matter which of CJ CGV theaters they enter, or whether the audio is in 5.1, 7.1 or Dolby Atmos formats. To provide movie fans with a realistic audio experience, Goldenduck depended on a full cinema sound solution by HARMAN. The audio systems in each theater consist of JBL 3252N and JBL 3722N two-way cinema loudspeakers, JBL 4181 single 18-inch subwoofers and JBL 8320 cinema compact surrounds. The systems are driven by Crown XLC Series power amplifiers. The JBL 3252N is a passive two-way screen channel system featuring dual 15-inch low-frequency drivers and a teonex diaphragm high-frequency driver in a convenient single enclosure. The JBL 3722N two-way ScreenArray™ cinema loudspeaker system features optimized Aperture Waveguide technology for ultra low-distortion and extremely uniform frequency response. The JBL 4181 is a high-quality cinema subwoofer system that offers smooth response to the lowest audible frequencies. JBL 8320 compact cinema surround speakers provide the extended dynamic range required for digital sound formats in modern cinemas.